Live Music Every Saturday from 3-6pm! Saturday, April 13: Seth Warden Duo Kitchen Open 12-7pm. Serving Wood Fired Pizzas and more! 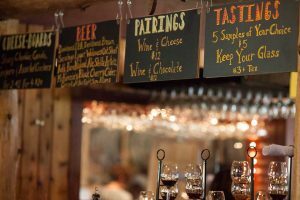 Enjoy a Wine Tasting, Local Spirit Tasting, Craft Beer Tasting, Chocolate Pairing, Cheese Boards and so much more!